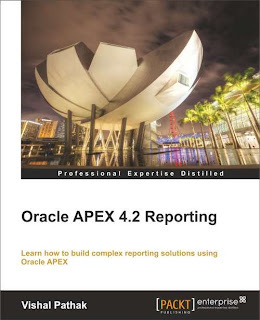 I thought of putting OBIEE, BI Publisher, APEX and BPEL together. There can be a requirement where we intend to hide BI Pub functions like createReport and createFolder from certain users and give them access to functions like runReport and scheduleReport. Such a user might also need functions to run OBIEE reports. This article describes a process to do this. I have selectively picked 2 BI Pub functions (login and getFolderContents) and bundled them in a custom wrapper webservice. I didn’t have an access to an OBIEE server from my BPEL server so I couldn’t include OBIEE in this BPEL process. The only change required to include OBIEE in this webservice will be to add an extra partner link of OBIEE. Adding an extra partner link is just a drag and drop operation. My previous article described the process of creation of a BPEL process in detail so I intend to start from where I left in my previous post. I am defining a custom WSDL for the client so that it can expose multiple functions. Stands for external partner link. You can see 2 of these in the pic above. One(BI_Pub_PRS) represents BI Pub’s PublicReportService web service and the other(ManyOperations) is exposing our implementation to the outside world. Let me describe how partners work. When I say ‘a partner’, I am talking about the things apart from my implementation. Everything outside the white region is a partner to the thing in the white region. Now our code in the white region needs a face to present to the external world and the ‘ManyOperations’ partner does the same. We are now going to design the face, and as discussed, this face should have the 4 essential features mentioned above.This designing is done by writing a WSDL which can be imported in this partner link. We can now switch to the BPEL code. Create a wsdl file as shown below. The contents of this file should be the same as the one mentioned above with obvious changes for the environment. You may change the names if required. Now go to ManyOperations.bpel (ManyOperations is my bpel project name) and drag a PartnerLink from the component palette (available in services in the component palette) as shown in the figure below. Drag it all the way to the gray region. A popup called ‘Edit Partner Link’ will come up when you drag a partner link activity in the gray area. Give it a name and click on the torch icon. Select the newly created ManyOperations.wsdl (custom WSDL created above) from the list, as shown below. If you get a few prompts after clicking the apply button then click ‘yes’ in them. Your final BI Pub partner link will look something like the following. If you do not select ‘Partner Role’ then you will not be able to see the list of function provided by the webservice when you connect it to the invoke activity in step 11. Now drag a pick activity available under process activities in component palette and put it in the white region. Match your implementation with this . Once this is done, expand the pick activity and delete the onAlarm branch of it. Create one more onMessage branch by right clicking on the pick activity. One branch each for the 2 functions of PublicReportService (login and getFolderContents) which we intend to encapsulate in our custom web service. Put an invoke activity in both of these branches. Connect both these invoke activites to the BI_Pub_PRS partner link. If you have an OBIEE partner link then you can create one invoke to it. At this point, it all depends on your requirement. Select the desired operation. I selected ‘login’. I have defined my wsdl in accordance to it. You cannot randomly pick a process here. Your wsdl and bpel should be in agreement. Connect the 2nd invoke to the service and select getFolderContents as the function. Create input and output variables in both the invokes by clicking on icon. I have created all variables as global variables. Very good one, Vishal ! That's really fun to read, continue to provide us with this stuff. Keep up the good work,Vishal!